Preheat your oven to 425 degrees. Remove any children sensitive to loud noises from the premises, and finely grind the gingersnaps and graham crackers in a food processor (yielding 11⁄2 cups). Add the melted butter, and process until the cookie-crumb mixture is moistened. Beat the egg and the egg white lightly in a large bowl. Whisk in the pumpkin, sugars, salt, cinnamon, ginger, cloves, and nutmeg. Gradually whisk in the cream. Pour the pumpkin batter into gingersnap-graham crust. 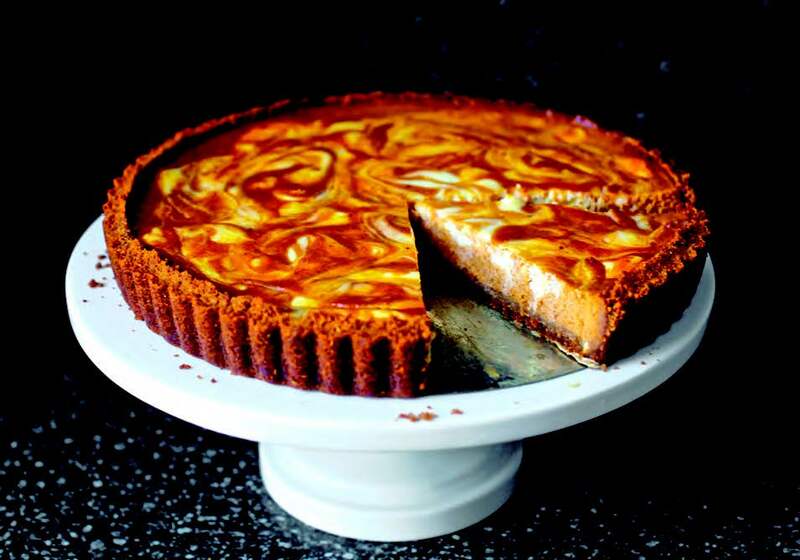 Dollop the cheesecake batter over pumpkin batter, then marble the two together decoratively with a knife. Try not to pierce the bottom crust as you do. Bake for 10 minutes, then reduce temperature to 350 degrees and bake for another 30 to 40 minutes, or until a knife or toothpick inserted into the centre comes out clean. Cool the tart completely on a rack, or in the fridge if you, like me, prefer it cold. Serve immediately, and refrigerate any leftovers. Theoretically, it keeps for several days, but the crumb crust will get a little soft on the bottom after day one. Excerpted from Smitten Kitchen. Copyright © 2012 Deb Perelman. Published by Appetite by Random House, which is a division of Random House of Canada Limited. Reproduced by arrangement with the Publisher. All rights reserved. To have access to and to be able to eat in good restaurants is one thing, to know the chef is another, and to actually consider them friends and colleagues is perhaps one of my greatest joys in life. Especially if they are as talented as visionary Scott Vivian of Beast Restaurant. I have known Scott for over 3 years, and the man continues to innovate and amaze. I am happiest hanging out in the kitchens of Toronto, so when I was approached by Yorkshire Valley Farms to pair with a chef and create a dish with their organic chicken, I was ecstatic at the opportunity. Instantly a few names came to my mind for my wish list of who to work with, and I am glad that it worked out as it did. 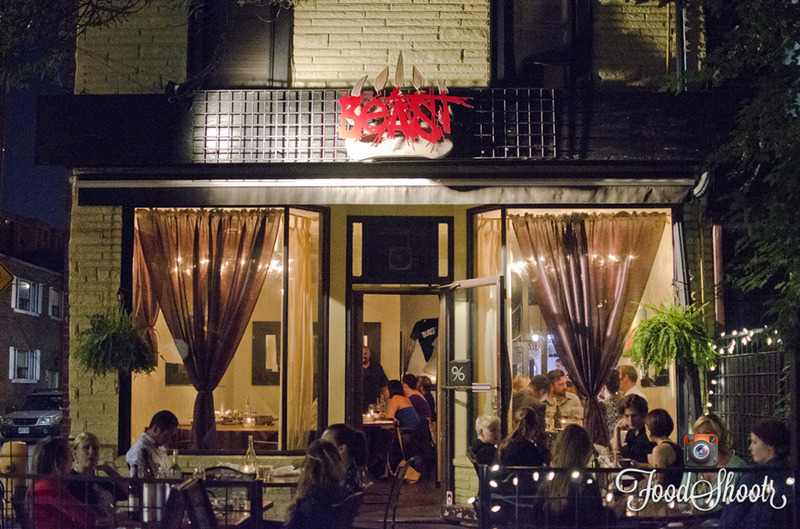 Any chance to eat at Scott and his wife Rachelle’s restaurant, Beast, makes me (and my lucky friends) very happy. The program was called #LegsandTie and was created to show people the things that they can do with chicken legs, which happens to be my favourite. I was asked to invite 9 friends to Beast to sample our dish, of course along with some of Scott’s other food, and it just happened to be half price wine night (every Wednesday), so my friends were all totally stoked! Sounds good to me, what about you? That is a product I don’t mind serving at my table to my friends and family. Oh, I should probably tell you about the food, shouldn’t I? Well, the dish that Scott and I came up with was a big hit, along with the 9 (yes 9) other courses we had that night. 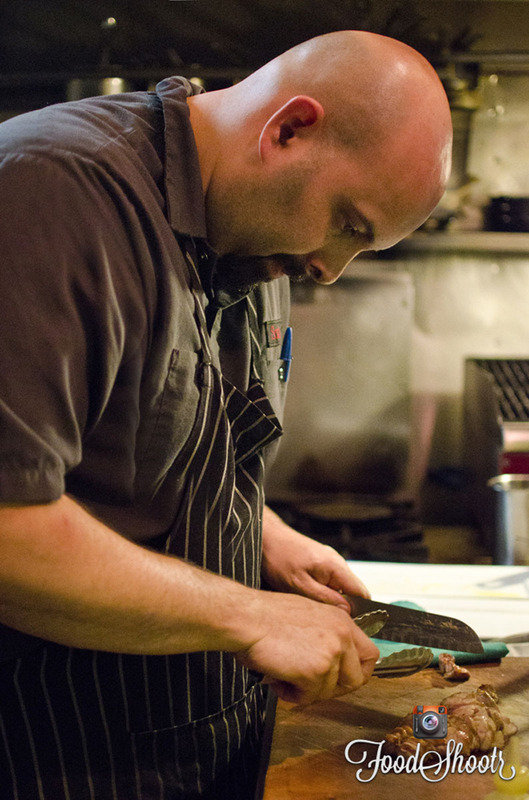 I highly suggest you book a table at Beast, and let Scott cook for you. 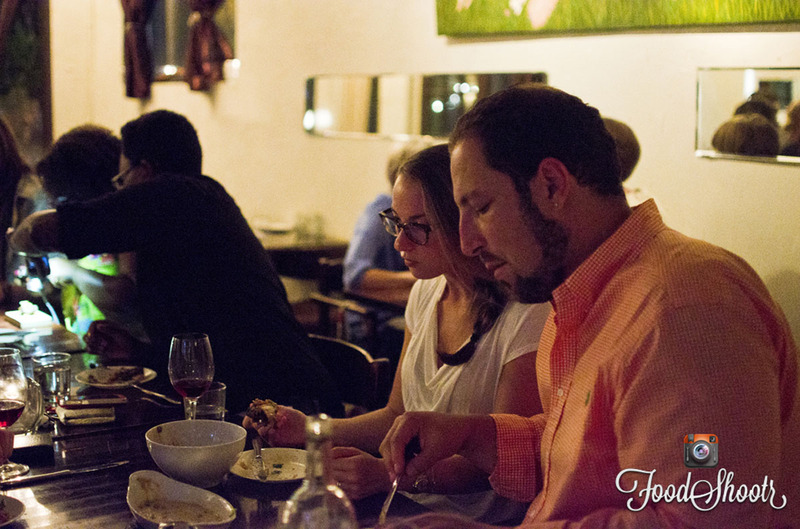 9 courses for $45 can’t be beat! A nice simple smoked trout is a great start to any meal, followed by one of my favourite dishes of the evening, a simple buratta. The next course couldn’t be beat, for good old meat butter, aka bone marrow, took over the table. 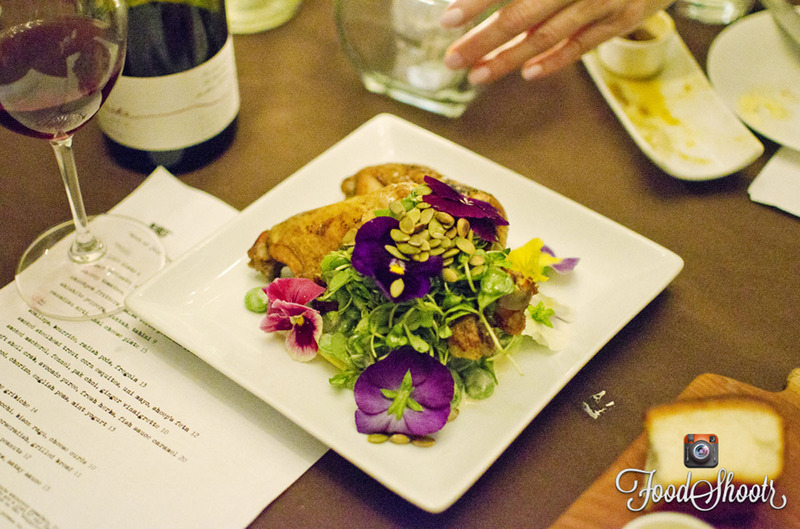 Then came the chicken dish; a smoked braised chicken, dirty ranch with fish lump roe, favas and foie, pickled celery, perslaine salad and crispy chicken skin. As for the chicken, it is nice to have an option in regular grocery stores to purchase clean and affordable meat. I like the YVF product, and it was nice to have an opportunity to work with these guys. They are very connected to events in Toronto, so get out and support the 8 farmers that make up this collective. Cheers! 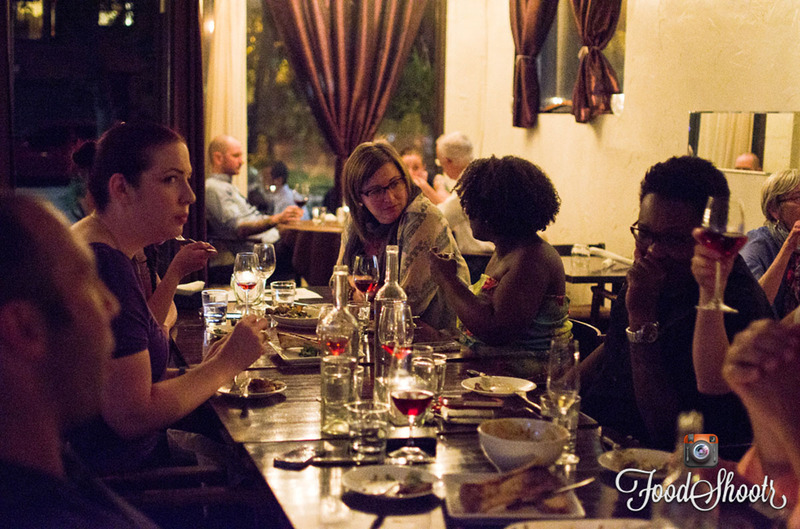 Guest post by Joel Solish, @Foodie411. 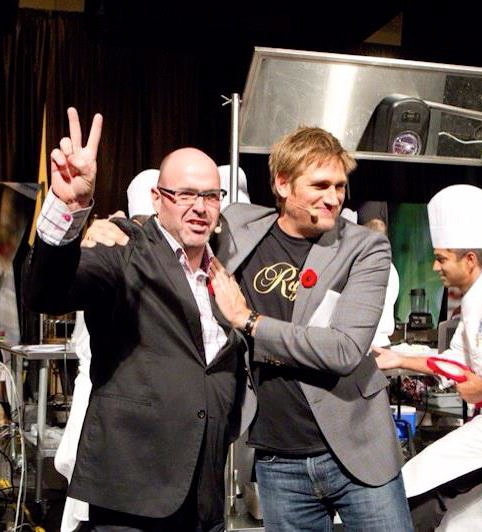 Celebrity Chef, Christian Pritchard, is known for his “Food Entertainment” and two series on RogersTV Durham Region, “Mission Meal”, and “Diggin’ Durham.” Christian is also an advocate for supporting local farmers, not to mention, a fan of our organic chicken. Throughout the summer, Christian made numerous appearances on CHCH Morning Live, where he took our chicken to the grill and showcased some unique and healthy recipes for the season. One of the segments featured “Beach Foods of the World”, where Yorkshire Valley Farms was taken to the south with Christian’s southern fried Miami jerk chicken.